Have our team help improve your organization with secure coding. Most organizations realize that they have flaws in the their software, but they typically only know about the flaws that they made conscious decisions on during development. Do you know about the security flaws in your software? Have our team provide training, formal code reviews, static code analysis, and dynamic code analysis on your software. We can train your organization to have the process to be brought in-house. 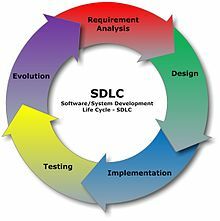 Let our team assist your SDLC with by training your organization on how to include source analysis. Our team brings experience with industry leading tools such as Ounce, Fortify, Klocwork, and FxCop. Don't believe the security testing that relies on network scanning tools or use only. Until you have a solid process, you will always be at risk.